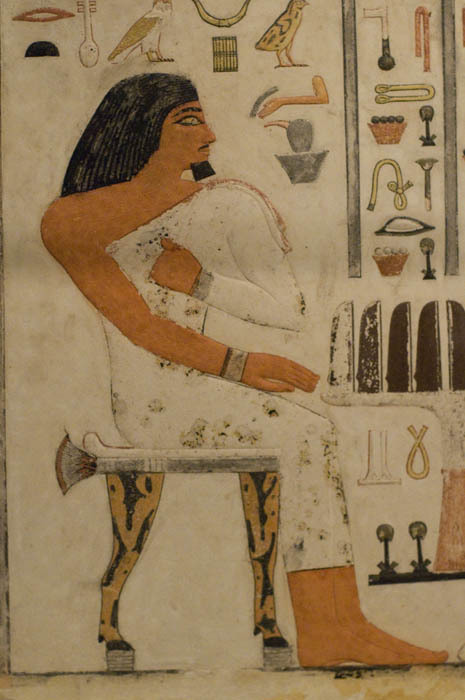 Painted limestone slab Stela of Prince Wepemnofret from tomb 1201 within cemetery 1200 at Giza and dating to the 4th Dynasty of the Old Kingdom (6-18925). The execution and preservation of this stela, which was placed outside of his tomb so that passing people could offer a prayer for his sole, is exceptional and it is the most significant piece with the Hearst Museum. 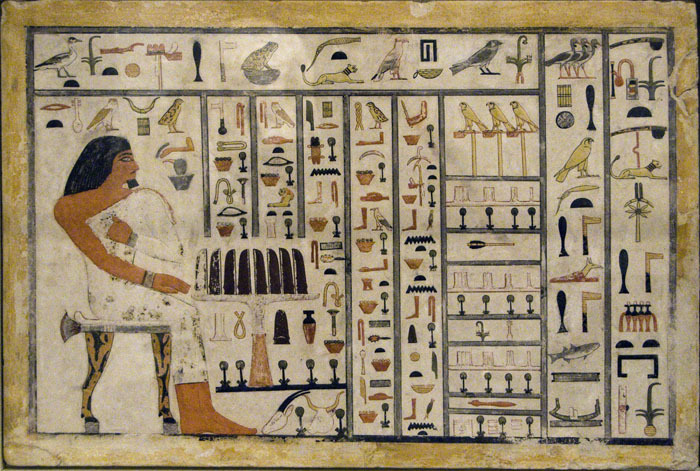 The most important text (which is the top row and the two right hand vertical columns) says "An offering which the king gives to Anubis who is on his mountain who is in the place of embalming, Lord of Ta-Djeser, in all of his good places (that he may give) invocation offerings to the hereditary prince, high official, seal-bearer of Lower Egypt, unique companion, lector priest, revered before the great god who is the lord of the sky, overseer of the army (e.g. General) and his wife, who he loves, the royal ornament and companion, the servant of Hathor (e.g. she holds a honorary position as a priestess of Hathor) the revered one." Wepemnofret's titles inform us that he was the son of the King and that he held some of the most senior and trusted positions with Egypt's administration. The remainder of the text is a list of offerings that he is asking for each day to help preserve him throughout eternity; such as 1000 green eye-paints, 1000 beers, 1000 white cakes, and long lists of fine clothing.